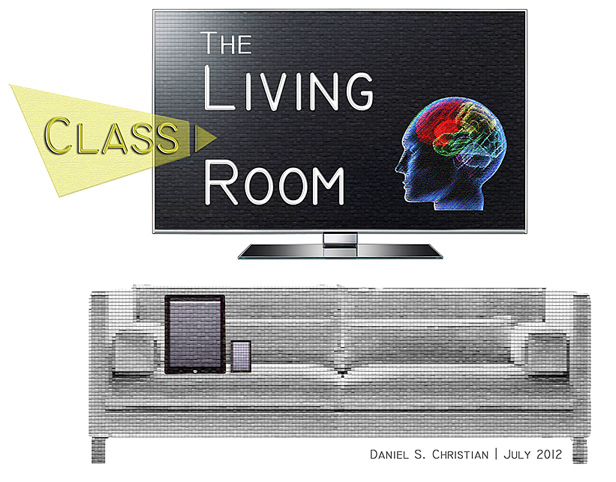 In the future, every object will be smart. Not necessarily because everything will be made of “smart matter,” with chips, motors, sensors, and radios (although this is happening). 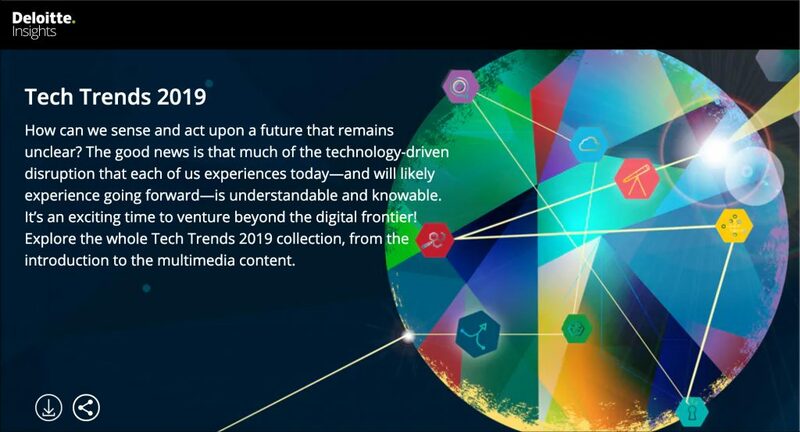 But increasingly because we are starting to digitally paint over default reality, layering on data, insights, and entertainment in virtual or augmented layers. When we shift from smartphones to smartglasses over the next decade, this will only accelerate. 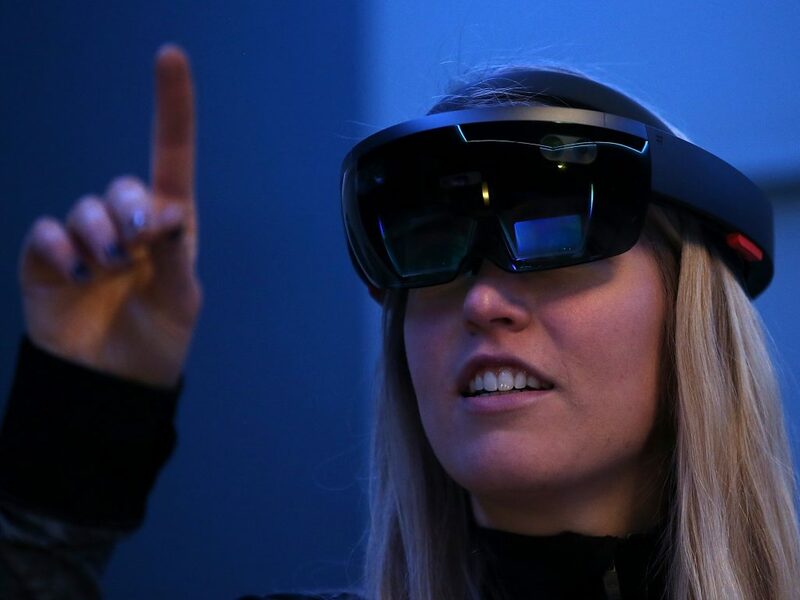 From games to street directions to metadata, from industrial heads-up displays to virtual gamescapes to workspace information, these new augmented, virtual, and extended realities will be aware, data-rich, contextual, and interactive. But there is a core enabling technology required. And I’m not just talking about smartglasses hardware with great functionality, good usability, and a reasonable price, which are probably at least three to five years away. I’m talking about the augmented reality cloud. This is not to say that using blockchains to store educational records is in itself a poor use of the technology. Instead, what is needed is an open technology ecosystem that combines public blockchains, private blockchains, and off-chain storage, combining the strengths of each technology to create a decentralized storage mechanism whose verification incentives are not tied to currency markets. This approach offers all the benefits of blockchain-powered record verification without the worry that external economic factors or new technologies might render education records corruptible—and without the need to trust in the continued existence of any single technology company. In early 2018, Concentric Sky and partners BrightHive and the DXtera Institute proposed such a blockchain ecosystem, called EdRec. EdRec is a learner-centric, open standards approach to learning record storage “on the blockchain,” with self-sovereignty of learner data as its key design principle. The project’s goal is to create a privacy-focused open technology standard that any company can implement in their products. 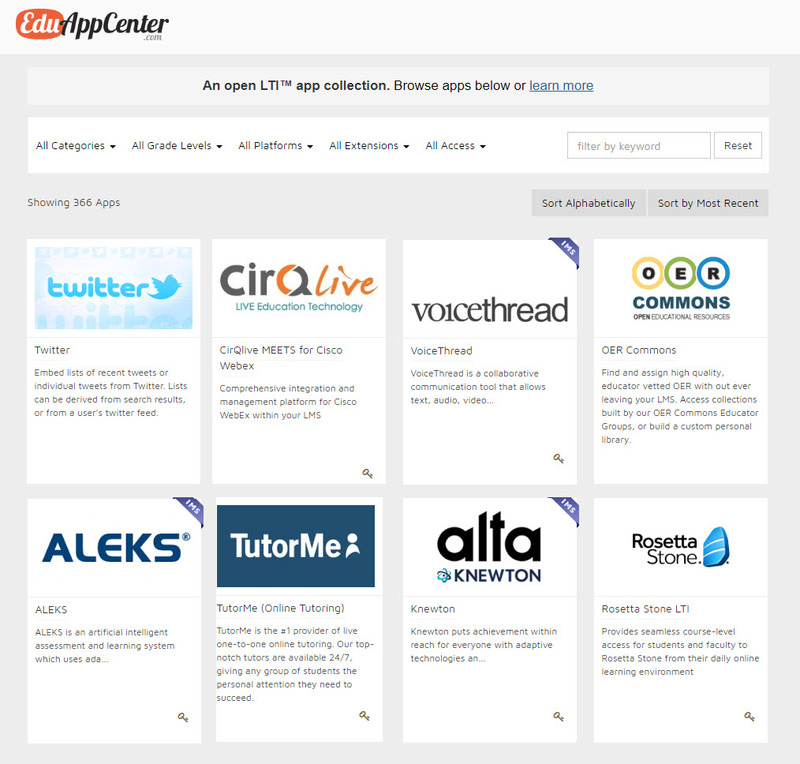 The proposal was a winner of the US Department of Education’s Reimagining the Higher Education Ecosystem Challenge, and since then, the project has begun to attract numerous institutions and large employers that see the value of a vendor-independent, machine-readable lifelong learning profile based on open technology standards. Our elevator pitch: Your “permanent” educational record has never been truly yours. Wouldn’t you want to control it, control access as you progress from one transition to the next, and optimize it for your desired success? We’re rewriting the rules of the game for personal education data by empowering learners with control of their own permanent education record across institutions, applications, and platforms. 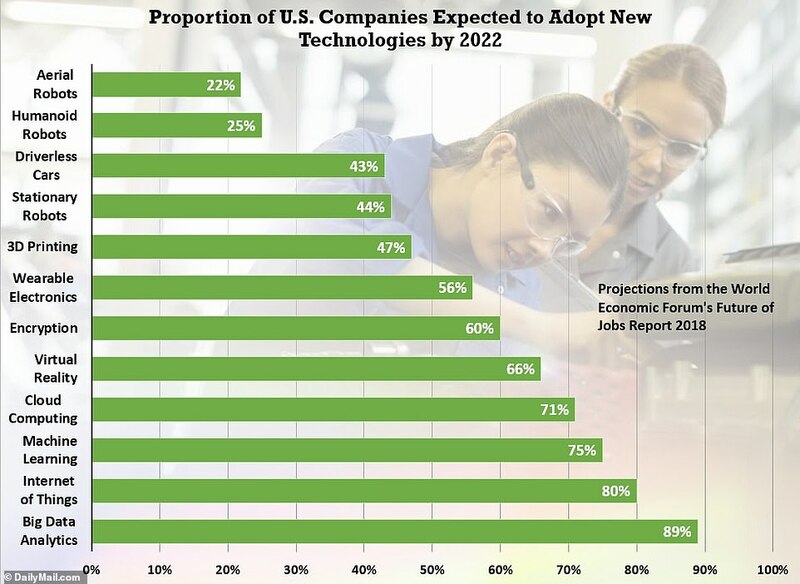 Emerging technology trends can seem both elusive and ephemeral, but some become integral to business and IT strategies—and form the backbone of tomorrow’s technology innovation. 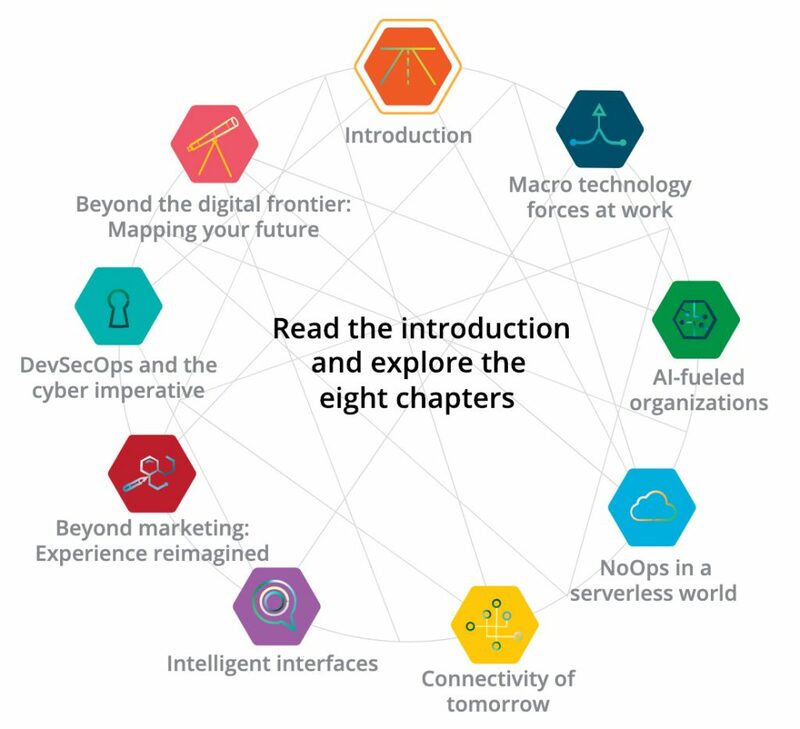 The eight chapters of Tech Trends 2019 look to guide CIOs through today’s most promising trends, with an eye toward innovation and growth and a spotlight on emerging trends that may well offer new avenues for pursuing strategic ambitions. Amazon’s vice president of Alexa, Steve Rabuchin, has confirmed that yes, there really are 10,000 Amazon employees working on Alexa and the Echo. Those employees are focused on things like machine learning and making Alexa more knowledgeable. Some employees are working on giving Alexa a personality, too. 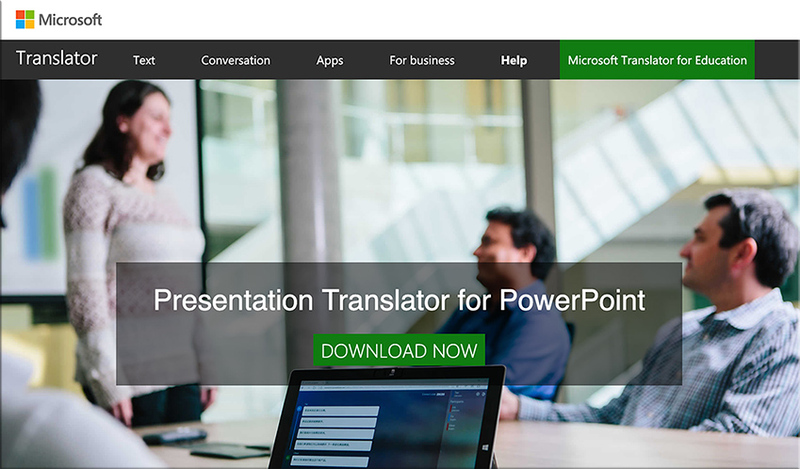 Presentation Translator breaks down the language barrier by allowing users to offer live, subtitled presentations straight from PowerPoint. As you speak, the add-in powered by the Microsoft Translator live feature, allows you to display subtitles directly on your PowerPoint presentation in any one of more than 60 supported text languages. This feature can also be used for audiences who are deaf or hard of hearing. Additionally, up to 100 audience members in the room can follow along with the presentation in their own language, including the speaker’s language, on their phone, tablet or computer. Up to 100 audience members in the room can follow along with the presentation in their own language! Wow! Are you thinking what I’m thinking?! If this could also address learners and/or employees outside the room as well, this could be an incredibly powerful piece of a next generation, global learning platform! Automatic translation with subtitles — per the learner’s or employee’s primary language setting as established in their cloud-based learner profile. Though this posting is not about blockchain, the idea of a cloud-based learner profile reminds me of the following graphic I created in January 2017. A number of players and factors are changing the field. Georgia Institute of Technology calls it “at-scale” learning; others call it the “mega-university” — whatever you call it, this is the advent of the very large, 100,000-plus-student-scale online provider. Coursera, edX, Udacity and FutureLearn (U.K.) are among the largest providers. But individual universities such as Southern New Hampshire, Arizona State and Georgia Tech are approaching the “at-scale” mark as well. One could say that’s evidence of success in online learning. And without question it is. But, with highly reputable programs at this scale and tuition rates at half or below the going rate for regional and state universities, the impact is rippling through higher ed. Georgia Tech’s top 10-ranked computer science master’s with a total expense of less than $10,000 has drawn more than 10,000 qualified majors. That has an impact on the enrollment at scores of online computer science master’s programs offered elsewhere. The overall online enrollment is up, but it is disproportionately centered in affordable scaled programs, draining students from the more expensive, smaller programs at individual universities. The dominoes fall as more and more high-quality at-scale programs proliferate. 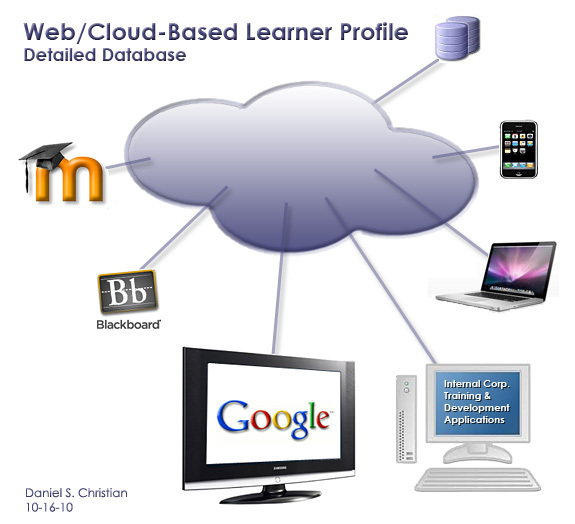 Education goes omnichannel. In today’s connected world, consumers expect to have anything they want available at their fingertips, and education is no different. Workers expect to be able to learn on-demand, getting the skills and knowledge they need in that moment, to be able to apply it as soon as possible. Moving fluidly between working and learning, without having to take time off to go to – or back to – school will become non-negotiable. Is there major change/disruption ahead? Could be…for many, it can’t come soon enough. 2019 is the year when CIOs scrutinize investments, work even more closely with the CEO, and look to AI to shape strategy. What other trends will prove key? Lines have already begun to blur between software development and IT operations thanks to the widespread adoption of DevOps. Meanwhile, IT and operational technology are also coming together in data-centric industries like manufacturing and logistics. Most IT organizations still have heads of infrastructure and applications managing their own teams, but that may begin to change. While most IT organizations still have heads of infrastructure and applications managing their own teams, that may begin to change as trends like software-defined infrastructure grow. “In 2019, CIOs will need to begin to grapple with the challenges to their operating models when the lines within the traditional IT tower blur and sometimes fade,” Edwards says. 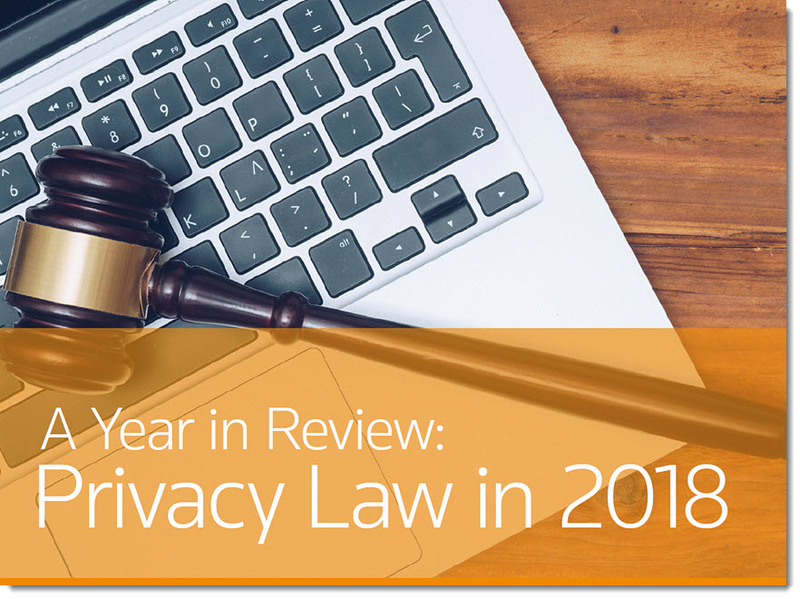 2018 has been a transformative year for privacy law. Due in large part to the passing of The General Data Privacy Regulation (GDPR) on May 25, 2018, the privacy law landscape in the U.S. and around the world changed forever. Many companies were left wondering what the new laws meant for their daily operations and how far-reaching the noncompliance penalties would ultimately be. 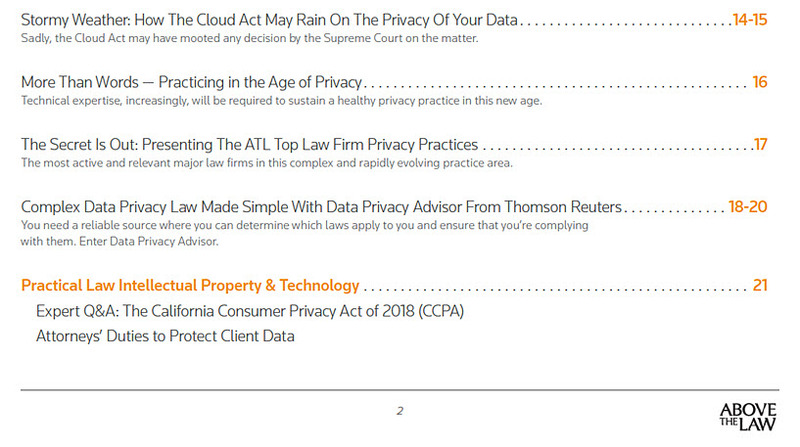 In addition, our Year in Review includes a look at the The ATL Top Law Firm Privacy Practices, a round-up of the most active and relevant major law firms in this complex and rapidly evolving practice area. From Equifax to Facebook to the GDPR, cybersecurity and privacy had a banner year in 2018. But according to attorneys and cyber experts, the cyber focus shows no sign of stopping. Scenario 1: Are bots the new apps? Scenario 3: Can bots increase employee throughput? Scenario 4: Let voice take over! 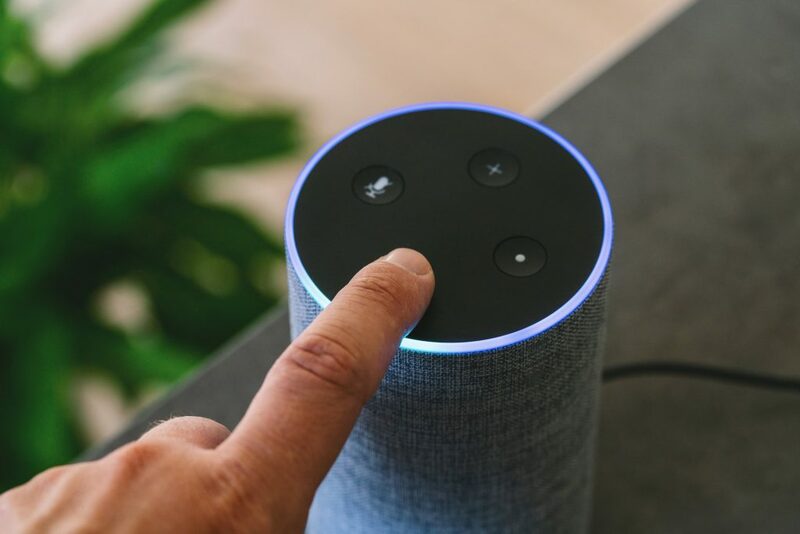 Voice as an input medium is catching up with an increasing number of folks adopting Amazon Echo and other digital assistants for their daily chores. Can we expect bots to gauge your mood and provide personalised experience as compared to a standard response? In regulated scenarios, voice acts as an authentication mechanism for the bot to pursue actions. Voice as an input adds sophistication and ease to do tasks quickly, thereby increasing user experience.